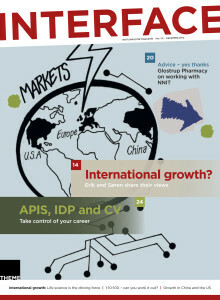 Growth, new customers and continued internationalisation. 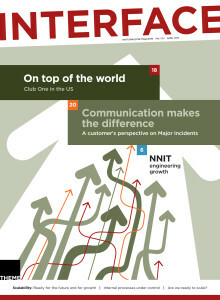 2011 was another successful year for NNIT. 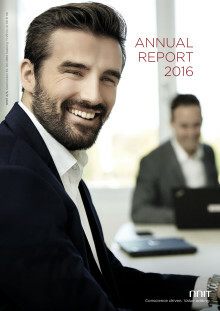 Turnover reached DKK 1,795 million, 9% more than in 2010. Operating profi t before tax totalled DKK 194 million, 6% less than in 2010 due mainly to costs related to an extraordinary employee share scheme. Another solid year with major new customers and international growth. 2012 was another successful year for NNIT. Turnover was DKK 2,028 million,13% up on 2011. The operating profi t before tax was DKK 217 million, 12% higher than in 2011. 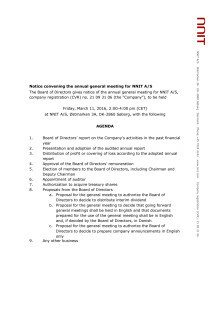 Read an interview with our new CFO, workorking hard at exploring whether becoming publicly listed is the right path for NNIT. Read, too, about our new and larger Aarhus office, a good picture of our expansion among Jutland-based industrial businesses. And read about our colleagues in the USA who are fighting a brave fight to solidly plant the NNIT flag in the American life sciences market. Meet the team who work behind lock and key at the data centre. You can hear a major customer’s views on working with us. You can read about Peter, who organises a race to raise funds for vulnerable minorities in Vesterbro. And much more. 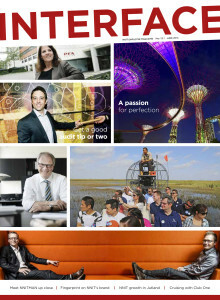 Read about the general international growth strategy, the importance of our life science focus and about how we go to market – known as 1-10-100. We have also checked in at our offices in both NNIT China and NNIT US to see what international growth means there on an everyday basis. What do our international customers say? Read about how the major investments in a new SAN will affect operational stability? How can evaluations help improve customer satisfaction? And how can friendships across NNIT strengthen quality? Over the last couple of months we have asked over 120 respondents in large danish companies about their view on Mobility and how it will change their business over the coming years. The report contains a nuanced view on the strengths and challenges the companies are facing and where they see the largest potential.